Cervical cancer, which is preventable are treatable remains a leading cause of death for women of reproductive age in many countries. Photo: UNFPA Bolivia. NEW YORK — While mortality from cervical cancer has been curbed among women in developed countries, it remains a major killer of women in the developing world. Every two minutes or so a woman dies from this disease, even though it can be effectively identified and treated in the long period (up to two decades) that it typically takes for pre-cancerous cells to develop into full-fledged cancer. “All deaths from cervical cancer can be prevented,” said Nuriye Ortayli, a reproductive health advisor with UNFPA Technical Division, who led a global consultation on how to accomplish this. Cervical cancer, caused by sexually-acquired infection with human papillomavirus (HPV), claims the lives of more than 270,000 women every year, most of whom (85 per cent) live in developing countries. “In some Latin American countries, cervical cancer kills substantially more women than do complications of pregnancy and childbirth,” Ortayli said. Although preventing HPV infection, screening and treating precancerous lesions have decreased the disease burden in developed countries, access to prevention programmes continues to be a challenge in large parts of the world. UNFPA staff, as well as representatives from ministries of health, NGOs and different international and national organizations with expertise in cervical cancer prevention programming (a total of 55 participants), met here to share lessons learned from demonstration projects and country programmes on HPV vaccination and cervical cancer screening and treatment in different regions. 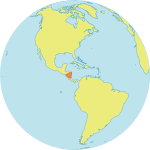 Cervical cancer is the most common cancer for women in Central America and Southern Africa. The Caribbean, other parts of Africa, South America and South Eastern Asia also have very high incidence rates of this cancer. In many countries health systems do not yet have the capacity to offer the routine screenings and follow up that could save lives. They also agreed on a series of recommendations to make cervical cancer prevention programmes more accessible to women and communities in light of recent evidence, with an emphasis on approaches for scaling-up. The recommendations, which will be posted along with presentations on the meeting website, address national strategy and programming for comprehensive cervical cancer prevention, advocacy and community participation, as well as health systems strengthening for screening and treatment. The recommendations will also address the use of vaccines, which have recently become available, but are still costly, and not yet realistic for many countries, Ortayli said. “We know that vaccines are safe and effective,” she said. She added that girls should be vaccinated before they become sexually active for the vaccine to be effective. Bhutan, Malaysia and Mexico are introducing vaccination programmes, Ortayli said. In the prevention of this type of cancer a key challenge is how to scale-up successful pilot prevention projects. “Many countries have started programmes on a small scale that are showing good results. We have many methods available for screening, and treatment can be done at primary health care centres using simple technologies,” Ortayli said. Treatment can be relatively simple before the virus turns into invasive cancer, but once that occurs, options become more limited and expensive, requiring sophisticated medical equipment. The virus that causes the cancer, HPV, is one of the most common sexually transmitted infections, but it does not cause problems for men, and for many women it remains dormant. In others the cancer progresses slowly, with obvious symptoms not appearing until a woman reaches 45 or 50. One challenge for the screening programming is getting women to continue with regular doctors visits once their childbearing years are over. UNFPA supports the prevention and treatment of sexually transmitted infections, including HPV. In countries like Turkmenistan, for instance, UNFPA has been working with the Government for the last three years to train specialists to diagnose cervical cancer across the country. “As a result of our advocacy efforts, the Government has included cervical cancer in the agenda. In fact a National Strategy on cervical cancer prevention will be launched next year,” Kemal Goshliyev, UNFPA programme officer explained. In Nicaragua, UNFPA is supporting the Government by training medical staff so that they know how to early detect and treat this disease. “There has been important progress in this regard. In 2005, 451 women could access early treatment, while in 2009, 2,563 women did,” said Edgard Narvaez from the UNFPA office in Nicaragua. In addition, UNFPA has been actively involved in strengthening the regulatory framework around the treatment and diagnosis of cervical cancer, in providing equipment and supplies to medical centres, as well as in advocacy initiatives to place cervical cancer on the agenda of policymakers.